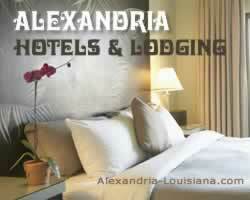 Alexandria, with its central location in Louisiana, and its position on Interstate Highway I-49, offers visitors a large number of hotels, motels and other accommodations. Most hotels are concentrated along MacArthur Drive and the Air Base Road exit on I-49 north of Alexandria and near Alexandria International Airport. Several other hotel properties are located around the Alexandria Mall. 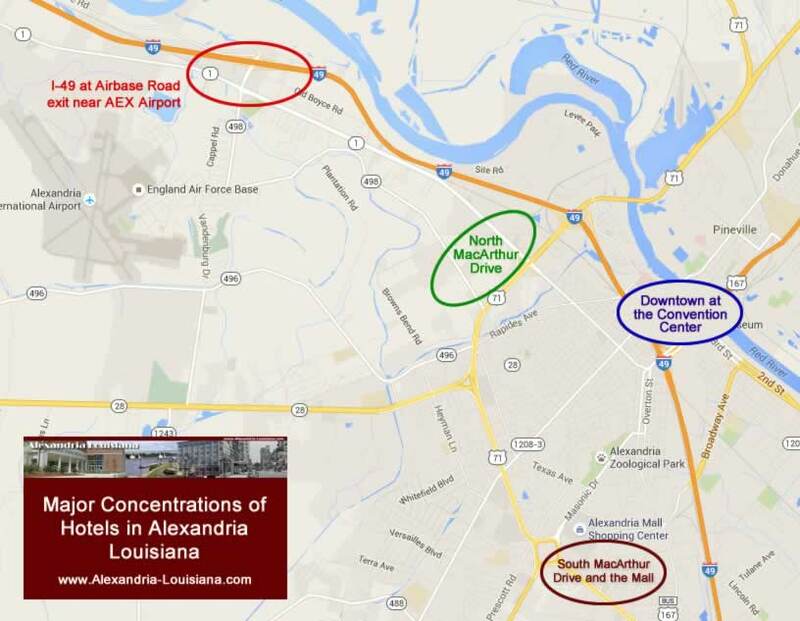 Several planned new projects in Alexandria and Pineville are adding about 450 hotel rooms, increasing room inventory by at least 18 percent. In downtown Alexandria, the Hotel Bentley is now reopened and the Holiday Inn Alexandria Downtown (formerly the Alexander Fulton Hotel) has undergone renovations. Recently opened properties include TownePlace Suites (91 rooms), located in the Alexandria Mall’s parking area, and Home2 Suites (89 rooms), which is just off the mall property. Across South MacArthur Drive in the old McKesson Building’s parking area, preliminary work has been started to build the 96-room Fairfield Inn and Suites. Looking for information on the Hotel Bentley? It features over 35,000 feet of usable convention and meeting space. Nearby is the Holiday Inn Alexandria Downtown and the Hotel Bentley. For additional information, link to the website of the Alexandria Riverfront Center. If you are flying into Central Louisiana, read more about Alexandria International Airport (AEX). And be sure to check out Alexandria Louisiana Weather section for important details about current weather, and weather forecasts.